Saving for Retirement Really Means Investing for Retirement! Learn from Erin Lowry in This Episode How to Get Over Your Risk Aversion, Start Early, and Level Up Your Money! When it comes to investing for retirement, the earlier you start the better. People that start in their 20s, rather than their 30s, or even 40s, give their money more time to grow and therefore give themselves the best chance at financial freedom. No one knows personal finance for 20-somethings like Broke Millennial Erin Lowry, a writer, speaker, and blogger that I had on the show in Episode 70. She is returning in this episode to talk about her campaign to get us thinking about “investing for retirement,” not “saving for retirement,” and to make a big announcement! Posted on 04/10/2019 Saving for Retirement Really Means Investing for Retirement! 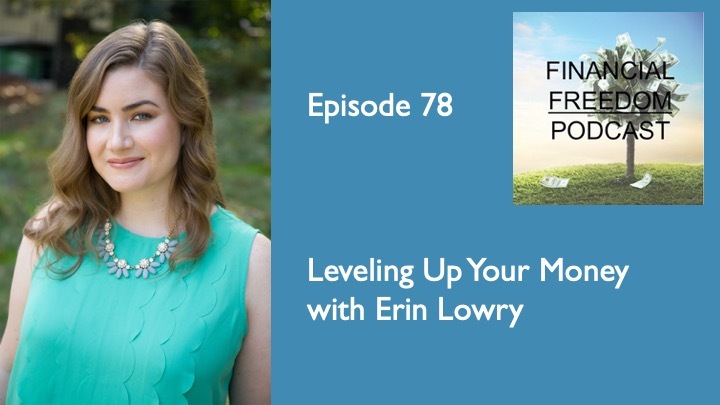 Learn from Erin Lowry in This Episode How to Get Over Your Risk Aversion, Start Early, and Level Up Your Money! Posted on 03/27/2019 Before Creating a Financial Plan, You Need to Know Your Goals! You Need to Determine the "Why" for Your Investing and Saving. Let Ross Stryker Help You Find Your "Why" in This Episode! Posted on 03/13/2019 If You Are In Your 50s or Early 60s and Looking at Retiring Soon, Learn More About the Home Downsizing Process and Finding Your SeniorTopia!